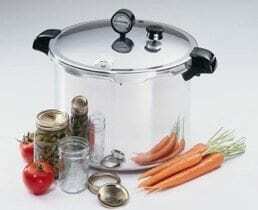 Cornell Cooperative Extension of Warren County is set to host a Food Preservation Series which will include making jams and jellies, and salsa, and address fermentation and pickling, and making jerky. » Continue Reading. When Dan and Brandyn Prairie purchased their home on County Route 24 (the Brainardsville Rd), Malone in 2013, Dan really wanted to utilize the open field behind their home to grow a crop. After a lot of thought, he ended up narrowing his choices down to either planting a vineyard or an apple orchard. Dan eventually settled on growing apples, not only because of their profitability potential but also because it would be something the family enjoyed doing together. 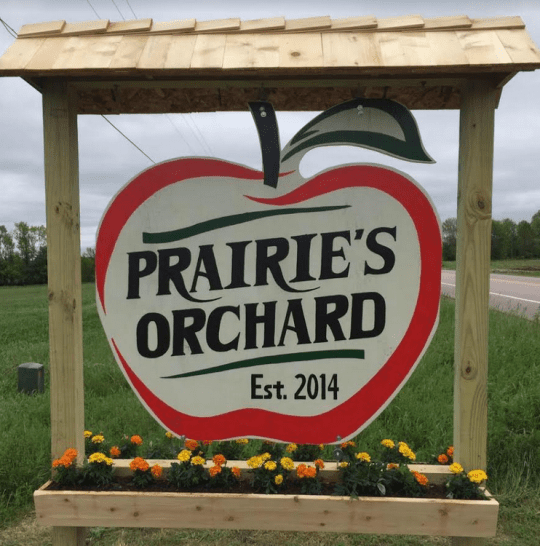 In the spring of 2014, Prairie’s Orchard was established with the planting of sixty Macintosh and sixty Honey Crisp trees. Since then, more trees have been planted each spring with plans to continue to do so. » Continue Reading. The 2018 Bike the Barns, a one-day recreational bicycle tour that showcases the local food and agriculture movement in northern New York, has been set for Sunday, September 30th. 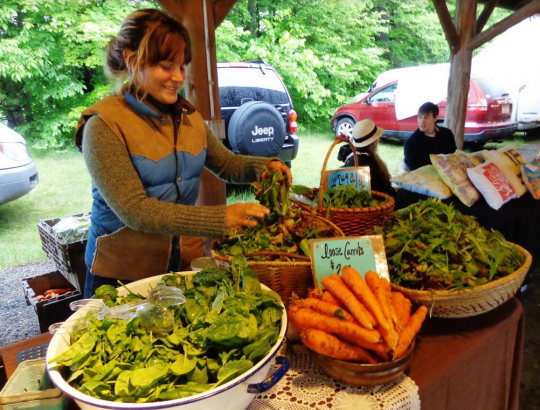 The third annual farm-by-bike event, hosted by the Adirondack North Country Association (ANCA), will begin and end at Asgaard Farm & Dairy in Au Sable Forks. » Continue Reading. 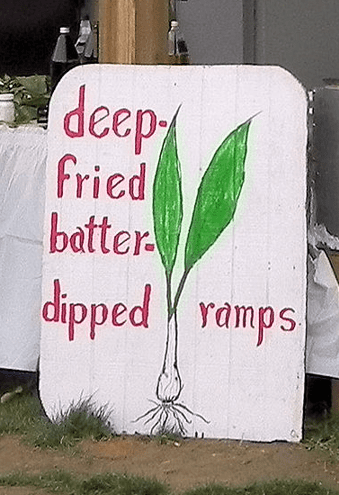 Farmers’ markets have existed as a part of American society, business, and trade since 1634, when the first farmers’ market in the new world opened for business in Boston, Massachusetts. And throughout much of the 17th, 18th, and 19th centuries, outdoor market places were vital centers of commerce in both American cities and rural communities. The Central Market, in Lancaster Pennsylvania, has been held in the same location since 1730. George Washington wrote about sending his kitchen staff to shop at Philadelphia’s outdoor market during the 1790s. And Thomas Jefferson wrote, in 1806, about buying beef, eggs and vegetables at an outdoor market in Georgetown. » Continue Reading. Thankfully, there are a number of opportunities for all of us to learn about and have access to locally produced products. Farmers Markets are opening for the season. Farm tours are available and pollinator workshops continue to put the importance of locally grown food in the forefront. 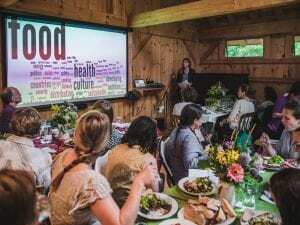 I’ve always wanted my children to not only see the important role local food plays in our life and economy, but to see how other skills and crafts evolved in the Adirondacks and beyond. 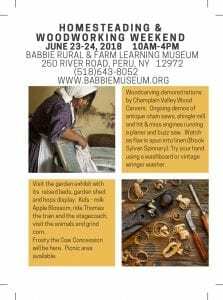 Since I don’t want everything to always be a lesson, one fun way to learn about the past and see craftsmen at work is to attend the Babbie Rural and Farm Learning Museum’s Homestead Festival on June 22-23, 2018. » Continue Reading. Ingredients for healthy beverages are free for the taking outdoors if you can get past the introduction stage. Hemlock tea, one of my favorites, is a good example. This is not the recipe poor Socrates used, which was made with the toxic perennial herb, poison-hemlock. The kind I serve is a vitamin-C-rich infusion of needles and young shoots from the stately eastern hemlock tree, Tsuga canadensis. This hemlock tea is great with a touch of honey, and the good part is that you can drink it more than once. Plus it’s fun to see the reaction when I offer it to guests. » Continue Reading. 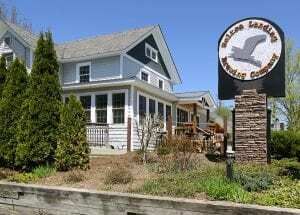 High Peaks Happy Hour: Bolton Landing Brewing Co. It isn’t often a brewery is borne of a desire to live in a particular location. In most instances, a long-time home brewer’s obsession propels him or her to that outcome. Not so for Brendan Murnane of Bolton Landing Brewing Company. He knew where he wanted to live. His quandary was finding a way to make a living. Oh, and he’s never really made beer, except in a class once. So naturally he decided to open a brewery. Brendan, who is from Westchester County, has spent summers in Bolton Landing with his family since 1988 and wanted to find a way to live there year-round. A love for the craft beer scene turned his thoughts toward opening a brewery. It was his first idea and he felt it was the perfect fit, just what the town needed. Following three years of meticulous research and planning, he came up with a business plan to do just that. His father, John Murnane, was impressed enough to become a partner. » Continue Reading. But the tastiest wild food around in very early spring is our native wild leek, Allium tricoccum, a.k.a. wild garlic, spring onion, or ramp (from “ramson,” a name for a similar European species). It pushes its light green leaves up through the leaf litter in hardwood forests along eastern North America, from Québec and Ontario south to South Carolina, in very early spring. 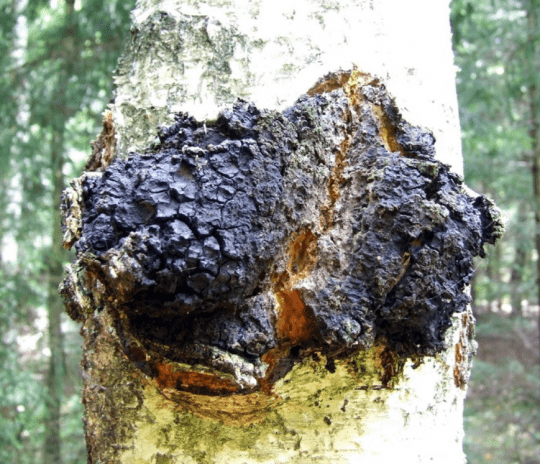 They grow in clumps, occasionally forming large colonies which in some places carpet the forest floor. They last for only a few weeks, fading away by late June. » Continue Reading. A group of Johnsburg residents is working to bring the North Creek Farmers Market back this summer season. The market is set to be held Thursdays from 2 to 6 pm at Riverfront Park in North Creek, from June 21 through September 27, then on Columbus Day Weekend. It will be under and around the northern pavilion in Riverfront Park which is adjacent to the Depot Museum and train station. » Continue Reading. Weeks before the soil warms enough to plant most garden favorites but those vegetables agreeable to cool weather, there are many delicious, healthy, and useful wild edibles available – if one knows where to look. 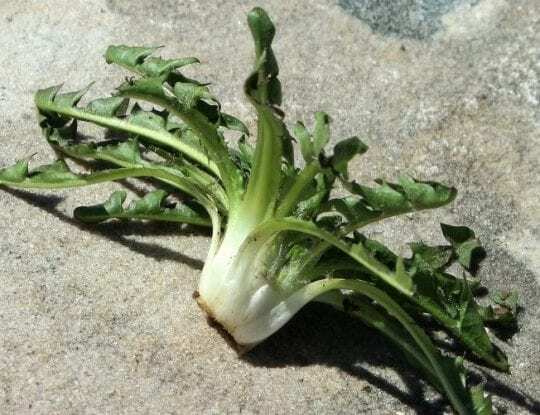 One of the earliest to appear is the dandelion, taraxacum officinale. As soon as the ground is friable, look for the early signs of emerging dandelions. Dig up the roots, remove the crowns, wash with a vegetable brush to remove soil. If the root has been harvested while the soil is still very cool, they may be lightly peeled, and prepared as most root vegetables by adding to soups or steaming until tender. » Continue Reading. 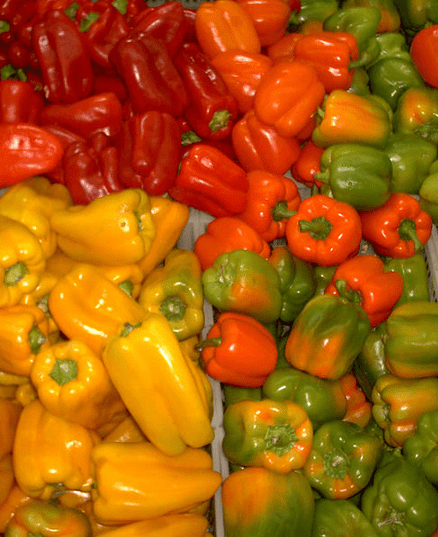 April 1st marked the 90th anniversary of the development of the modern sweet pepper, also known as the bell pepper. In Central America, Mexico, and northern South America there is evidence that numerous types of peppers (Capsicum annuum) have been cultivated by native peoples for at least 6,500 years. Hot peppers were the first New World crop grown in Europe, with seeds arriving in Spain in 1493. Since that time, plant breeders around the world have selected peppers for various traits, giving rise to such names for this Native American vegetable as “Hungarian” and “Thai” hot peppers. » Continue Reading. 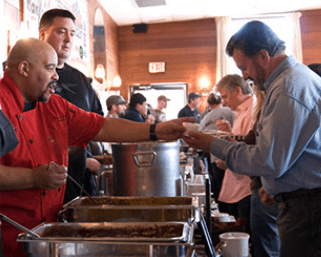 The 27th Annual Bands n’ Beans event at the Roaring Brook Range, 2206 NY-9N, in Lake George, is set for Sunday, March 25th, 2018. Doors open 1 pm, music and the chili competition will take place from 2 to 7 pm. » Continue Reading. Cold nights and warm days are the perfect combination to make the maple sap flow. Though most commercial maple producers are already in full production, our family operation is a bit behind in collecting the sap. 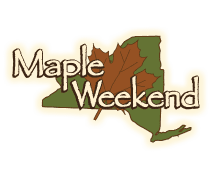 Pancake breakfasts, wooded walks and maple tastings are all part of the menu for the two annual New York State Maple Producers Association’s Maple Weekends. In addition to these specially scheduled maple outings, some maple producers welcome drop-ins and individual tours. » Continue Reading. TAUNY’s annual Sugaring Off Party has been set for Saturday March 10th from 10 am to noon, at the TAUNY Center in Canton. 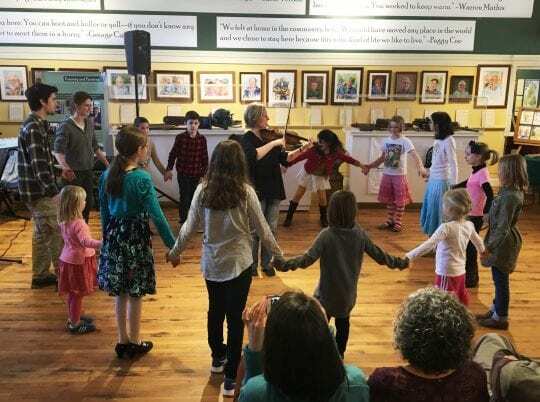 The Sugaring Off Party celebrates sugaring as French-Canadian families would have done a century ago. » Continue Reading. A Winter Food Justice Summit, “FEED BACK: Growing and Sharing the Abundance” is set to take place on Thursday, March 1, 2018 from 8 am to 6pm at the Wild Center in Tupper Lake. Organizers say the goal of this event is to create a road map toward a stronger local food system for everyone. The March 1st Summit will include a keynote address by Andrianna Natsoulas, the Executive Director of the Northeast Organic Farming Association of New York (NOFA-NY). » Continue Reading.